***Please click on the ''Photos'' Tab and then the ''Virtual Tour'' link to gain a full perspective of the outstanding features of the home. 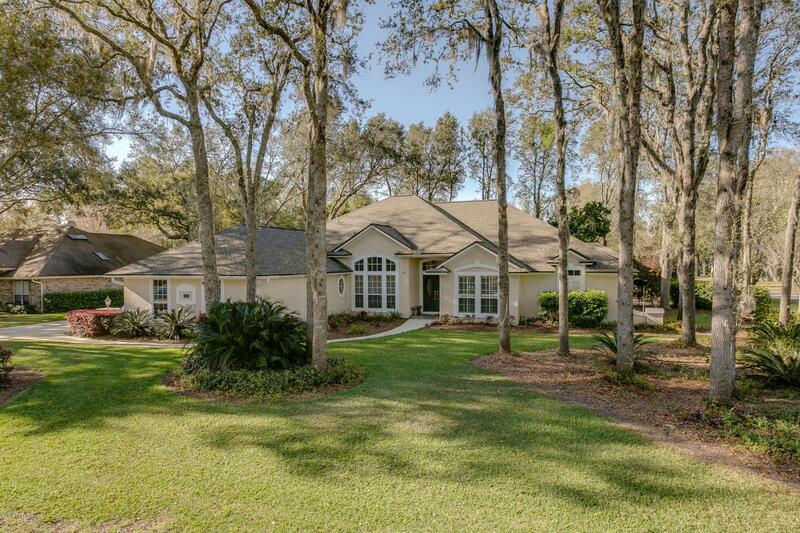 *** This meticulously cared for Sid Higginbotham built home is situated on a wonderful, wooded, corner lot in one of the most desirable areas of Magnolia Point Golf & CC. Complete privacy awaits as you enjoy your back yard and gardens from the 26' X 11' screened Lanai or the 15' X 15' open patio for barbecuing. Beautiful tiled floors are featured thru ought the home. Eleven foot ceilings grace the entire home. The spacious kitchen, with solid surface counters and lots of cabinetry, overlooks the breakfast room and family room with a gas fireplace and wall of windows opening to the back yard. ***Please click on the ''More'' button for further details. **The large master suite includes a sitting area and French doors opening to the Lanai & yard. The master bath includes a garden tub, a beautifully tiled shower, a large walk-in closet and a 2nd double door closet. The entry foyer opens to a large, formal dining room and spacious living room for entertaining. An office or 4th bedroom is entered thru double doors from the living room. Bedrooms 2 and 3 share a Jack & Jill bathroom with tub/shower and dual vanities. The laundry room includes a sink and overhead cabinets. The side entry, 21' X 21', 2-car garage has floor to ceiling, built-in shelving and ample overhead storage via a pull down ladder. There is also a large concrete parking area for your guests. The top of the line roof is approximately 2 years new. Homeowner Association Fees include a Resident Club Membership to the Clubhouse Restaurant and Pub, Pool and Tennis Courts. Golf memberships are offered separately for you & your guests. For more Magnolia Point Golf & Country Club information visit: www.magnoliapointgolfclub.com.